An accessory mounted tom featuring an articulate hybrid shell. When they set about designing the Absolute Hybrid Maple, Yamaha started with the most important aspect of a musical instrument, the sound. From a whisper to a thunder, a drum should respond to the drummer's touch, allowing them to express their every emotion. It should feel good to play, it should be a thing of beauty to the eye, and has to withstand the rigors of years of performance. Developed over three years with the collaboration of their roster of artists from virtually every genre, the Absolute Hybrid Series inherits the hybrid shell technology found on Yamaha's flagship PHX Series. On Absolute Hybrid shells, the design consists of a core ply of wenge a very hard and heavy wood native to Africa, sandwiched between plies of maple, well known for its clear tone. 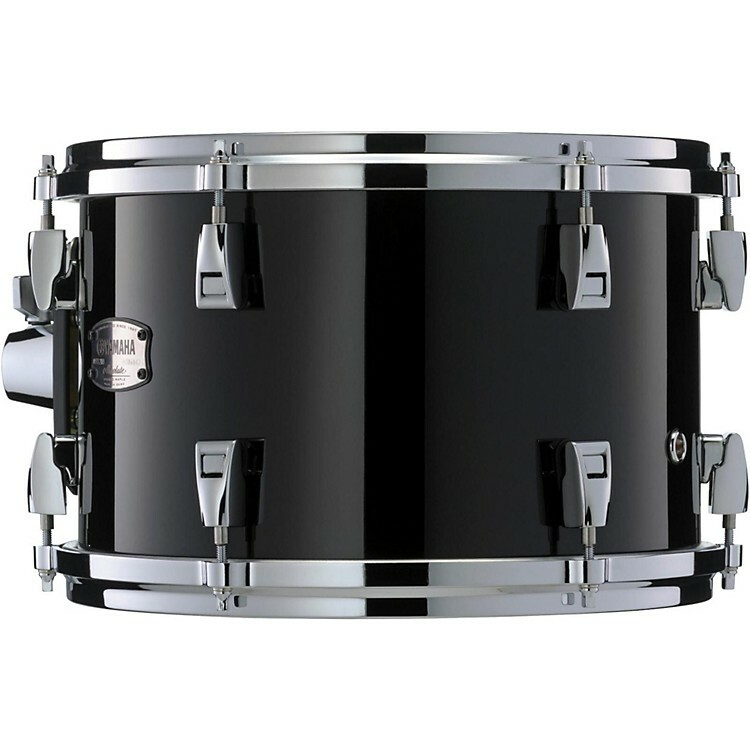 This hybrid design delivers a drum tone that plays rich and clear across the full dynamic range, from pianissimo to fortissimo. The bearing edge used on the tom shell to optimize tonal balance in the drum set. A 45º/R1.5 edge is used on the shell for a balanced tone. Aluminum die-cast hoops deliver a strong tight sound with an extraordinary attack and decay. This tom is compatible with the YESS III Mount System.